My husband and I stopped going out on Valentine’s day because the prices in NYC city triple that weekend. And we (as a city) are priced SO HIGH to begin with! So… instead we do special little things at home. One tradition we hold onto is starting off the morning with a romantic breakfast. You know, surrounded by our three kids. LOL! 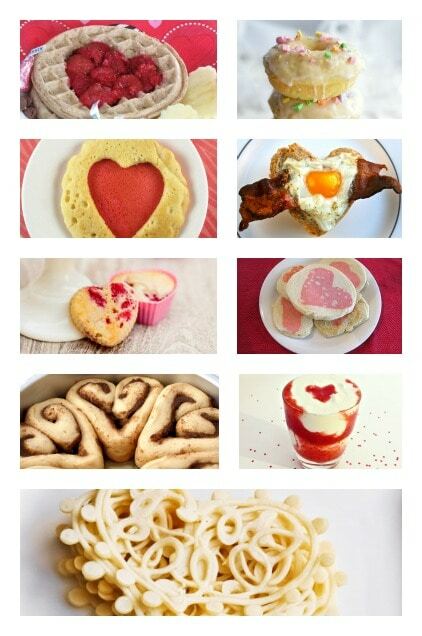 Here are 9 great Valentine’s Day breakfast recipe ideas to consider for February 14th! !